Prior to the emerging market (EM) turbulence and to the elected populist government in Italy, the European Central Bank was confident in the relatively positive momentum, in terms growth, targeted inflation and low unemployment levels. This was a valid reason for the ECB policy maker to commence winding down its quantitative easing program (QE). To date, the situation has been inevitably altered even given the possible disturbance that the recent moves in currencies have possibly negatively influenced the path of stabilization in the euro-area. 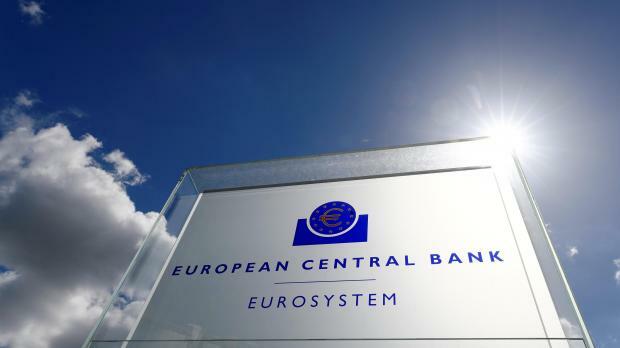 When QE program is a mechanism to revive an economy, the recent indication by the ECB that it will be winding down the said monetary mechanism symbolizes the end of economic crisis. That said however, over the past couple of days, the economic situation in Europe might have experienced a setback given the recent turmoil. In this regard, a legitimate question being put forward amongst market participants is whether the ECB will change its stance in terms of monetary tightening and economic revisions, given the recent market movements. Looking at the latest economic figures within the eurozone, some sort of softness is visible. In fact, the latest annualized growth print for the region was lower at 2.1 per cent from the previous 2.4 per cent and from the highs of 2.8 per cent registered in the fourth quarter of 2017. Likewise, on Wednesday industrial production figures were lower by 0.8 per cent month on month. Many of the data softness is attributed to the lower levels of exports and higher oil prices when compared to 2017. Despite the non-brilliant data, is the ECB concerned? My personal view is that so far it has not shown any sign of concern or cause for raising alarms, as yet. Let’s not forget that the prime mandate of the ECB is price stability and given that inflation continues to skew towards the policy maker’s target the path of tightening will continue. The recent turmoil in EM currencies has raised eyebrows of whether the recent slump, primarily in the Argentinean peso and the Turkish lira, will condition European banks, which are directly or indirectly exposed to the said nations. It is a known fact that European banks have, over the years, primarily since the last recession, tackled balance sheet issues and now are much better capitalised. That said, if the current EM turmoil continues to dent investors’ confidence, an escalated sell-off might reoccur and this could likely negatively impact European peripheral governments such as Italy and Spain in terms of borrowing costs. This is certainty a preposition to be taken into context, but a realistic one. The situation in Italy may have, to some extent, been undermined, however domestic politics triggered sensitivity both to financial markets and policy makers, including the ECB. The coalition of a populist government and their pre-electoral promises, if applied, might have a huge impact on the country’s finances. Indeed, if the current populist government pushes forward its big spending plans, this will trigger a sharp rise in Italian borrowing costs, which will negatively impact other peripherals. Let’s not forget that Italy is the fourth largest economy in Europe and its domestic politics led by populists are indeed of a concern to all. In my view, Italy’s troubles are currently undermined, and the serious economic consequences brought about as a result of domestic political decisions are a big threat for the ECB and the euro going forward. The ECB has few days to respite on this given that the first budget by the new government is planned for mid-October. Despite the uncertainties, at this point, the ECB views that the winding down of the QE program is appropriate, given an indication of growth, better unemployment figures and an inflation target which seems to be in line with expectations. In addition, the ECB still views that its policies will still be ultra-loose given a maintained low interest rate environment and ultra-cheap lending costs. That said, the current market volatility is one to be monitored seriously and if the market turmoil prevails, the ECB might want to take a step-back and re-consider its stance. On Thursday, the ECB President reiterated that the mandate of the monetary policy maker is price stability and not to safeguard any government and/or company. This was his reply when being questioned on the possible uneasy political situation in Italy. However, in reality we are all aware that a deteriorating situation in Italy is a huge concern for the ECB and they will surely monitor the situation as it evolves. Realistically speaking, the recent volatility is giving investors an opportunity to dip-in at ultra-cheap levels, but the fear of further unknowns are halting positive market sentiment, presumably also the ECB’s rationalization process of its monetary policies.